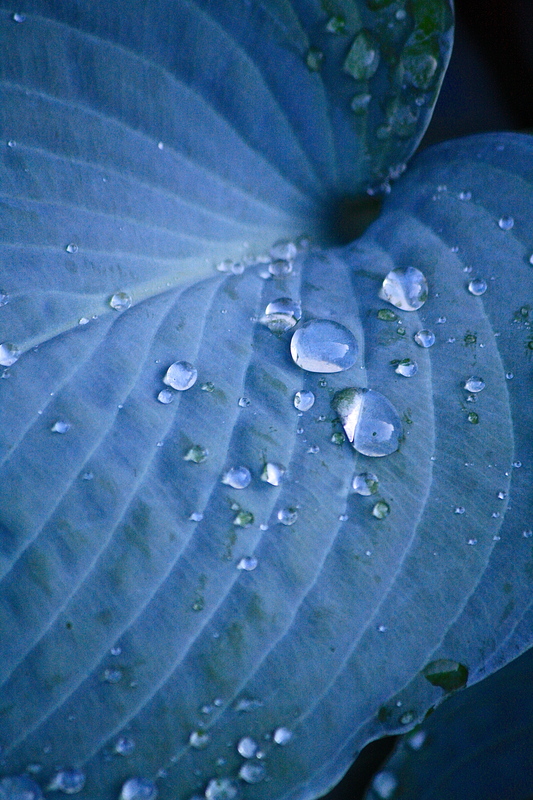 Image | This entry was posted in Country Gardening, My Photos and tagged blue foliage, gardening, gardens, hosta, photography, raindrops, Wordless Wednesday. Bookmark the permalink. Thank you, Judy. I wish it would keep its blue all season, but by August, the powdery blue has worn off, leaving a rather boring green. However, when it first comes up in spring, it is spectacular! No need for words………..except beautiful. Beautiful macro, what subtle blues! Thanks, Maria. It is a lovely plant! There is such exquisite beauty in a simple raindrop! Thank you, Ana, you are so kind! Yes, drizzly days are the best. Did you get flooding? I heard on the news that your region got a deluge. Flooding can be so scary! Glad you weren’t affected.